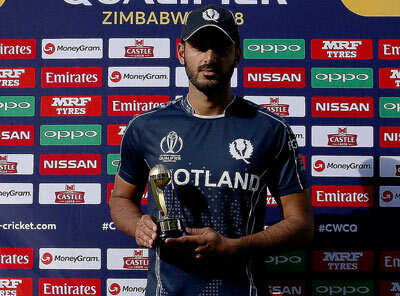 Scotland international Safyan Sharif has signed for Cumbrian Premier League side Whitehaven for the 2019 season. "The club are delighted to announce the signing of Scottish International Safyaan Sharif as our professional for the 2019 season. "Saffy, a seam bowling all rounder has played 36 ODIs and 29 T20Is for Scotland. "He played the last four games of the season as our sub professional."